A Home Depot Inc. store in Peoria, Illinois. (Bloomberg) -- Corporate America’s love affair with itself grows more passionate by the month. Stock buybacks, which along with dividends eat up sums of money equal to almost all the Standard & Poor’s 500 Index’s earnings, vaulted to a record in February, with chief executive officers announcing $104.3 billion in planned repurchases. That’s the most since TrimTabs Investment Research began tracking the data in 1995 and almost twice the $55 billion bought a year earlier. 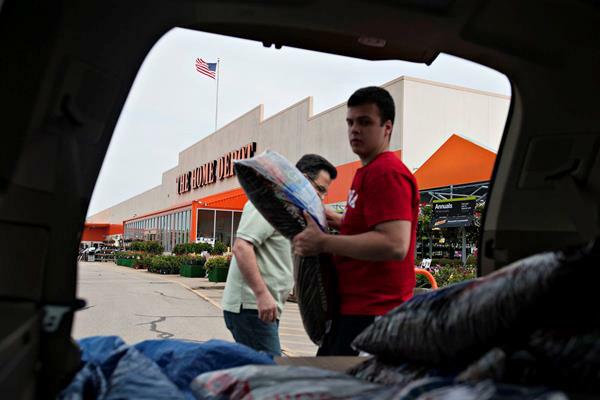 Home Depot Inc., Comcast Corp. and TJX Cos. were among 123 companies that disclosed repurchases in February as five years of profit expansion and record-low interest rates bolstered corporate cash hoardings. Companies in the S&P 500 have spent more than $2 trillion on their own stock since 2009, underpinning an equity rally in which the index has more than tripled. They were on pace to spend a sum equal to 95 percent of their earnings on repurchases and dividends in 2014, data compiled in October showed. The S&P 500 slipped 0.5 percent at 4 p.m. in New York, retreating from an all-time high. Home Depot, the largest U.S. home-improvement retailer, announced last month an $18 billion stock buyback program, including about $4.5 billion in its current fiscal year. Comcast boosted its repurchases to $10 billion while TJX said it will spend as much as $1.9 billion on its own stock this year. 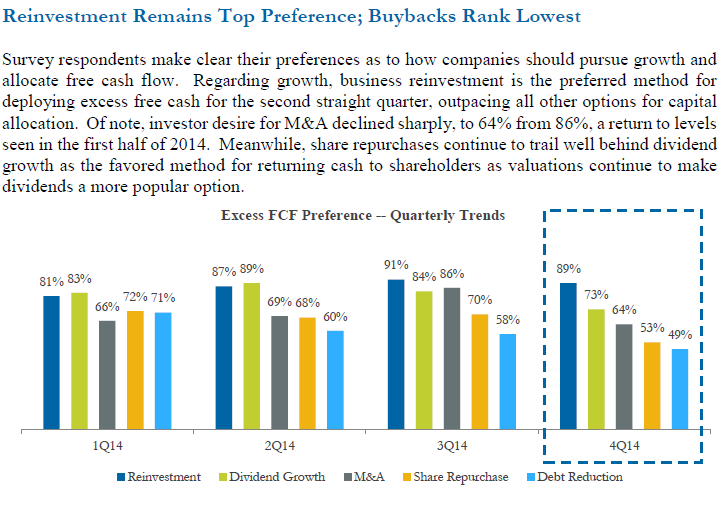 Companies are increasing buybacks with valuations reaching five-year highs just as profits are forecast to post the first back-to-back quarterly contractions since 2009. The S&P 500 trades at 18.9 times earnings, compared with an average of 16.9 since 1936, data compiled by Bloomberg and S&P show. Earnings from S&P 500 members will decline at least 3.2 percent this quarter and next, according to analysts’ estimates compiled by Bloomberg. For the full year, growth will be 2.3 percent, down from 5 percent in 2014. The last time buybacks reached a monthly record of $99.8 billion in July 2006, the S&P 500 advanced 23 percent in the next 14 months before hitting an all-time high. Repurchases set an annual record of $589 billion in 2007. S&P 500 companies hold $1.75 trillion in cash and marketable securities, data compiled by Bloomberg show. The index increased 5.5 percent in February, rebounding from the worst month in a year with the biggest gain since October 2011. The Nasdaq Composite Index closed above 5,000 for the first time in 15 years on Monday and was within 1 percent of a record.